It looks like NBC’s on-again off-again remake of Prime Suspect is moving forward for real this time. An American remake of the UK series was previously ordered by NBC, back in September of 2009. It was part of two-year, three pilot deal with ITV Studios. Hank Steinberg, the creator of the CBS’ Without a Trace series, was set to write and executive produce the two-hour pilot. In early 2010, Erwin Stoff and Paul Buccieri were to also serve as executive producers — for ITV Studios and Universal Media Studios — and Mick Jackson was on board to direct. By late February, the project was put on hold because reportedly an actress couldn’t be found to play the lead character. In July of 2010, Universal Media Studios inked a new deal with Film 44, the production company of Peter Berg and Sarah Aubrey (Friday Night Lights). As part of the agreement, they took over the Prime Suspect project. “We are proud to continue our productive creative relationship with Peter and Sarah in developing Prime Suspect, among others… They have immense talent and passion. This is a win-win venture that is bound to create some extraordinary television,” said Angela Bromstad, President, Primetime Entertainment, NBC and Universal Media Studios. Alexandra Cunningham (Desperate Housewives, NYPD Blue) was to write a new pilot script. Are you open to a Prime Suspect remake? The original Prime Suspect series was produced for the ITV network in the United Kingdom. Helen Mirren plays Jane Tennison, a no-nonsense British Detective Chief Inspector who’s attached to Scotland Yard. It’s set mostly in London and the immediate areas. Seven seasons (series) were produced between 1991 and 2006. 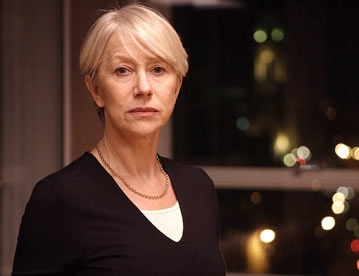 In the final round of episodes, Prime Suspect: The Final Act, Mirren’s character is set to retire and must deal with her alcoholism, the death of her father, and the murder of a teenage girl. What do you think? Are you interested in this American remake of Prime Suspect? Who would you like to see play Helen Mirren’s old role? Don’t we have any creators left in the American Wasteland. Do we need to rehash British TV over and over again (and rarely as well)? Alberta Watson would definitely be the best choice! …well, from what little I know of this show. I’d hate to see someone like Helen Hunt or Kyra Sedgwick hammin’ it up. Sharon Lawrence is a great choice. She would have aged enough to pull off the part. I saw the whole series and I don’t know if it can be improved upon but in its original showing most American viewers would tune out because it is more cerebral and a bit slower moving in the beginning. We are way to impatient. It is a great series and I agree that it probably would be better suited for cable, but I would love to see NBC try it and keep it pure to the original. I’ve watched the British version and think it’s a great show. My suggestion for the lead other than Helen Mirren would be Sharon Lawrence. She did an excellent job on NYPD Blue. Can’t we just let Helen Mirren play her part? Helen Hunt . Suzanne Sommers . Diane Sawyers. Katie Couric . David Spade. I wish one of the cable networks would just get licensing to air the original Prime Suspect from the beginning, in order, and screw the re-make. NBC will only kill it before it garners an audience anyways. Someone should ask Helen Mirren whom she would like to play her character. I don’t know why they have to do a remake but, since they are doing it, I only can think of Alberta Watson to play Jane Tennison. She would be wonderful.